Retrovolve – Was WarioWare: Touched! Secretly Introducing Children to the Occult? Nintendo may put on a squeaky-clean, kid-friendly face these days, but it’s not a company without its controversies. For example, the Big N was once known for having Yakuza ties, running love hotels (essentially, places where executives can bring their mistresses without getting caught), and fighting off LEGO lawsuits. But one of the most bizarre accusations Nintendo faced was that their 2005 DS game WarioWare: Touched! had super-secret occult messages hidden in its English localization. In fact, here’s a whole forum thread dedicated to this idea. However, it seems that this is just a mis-hearing of the phrase “Eye of grand this kitt soo pan,” which makes sense when you read a transcript of the lyrics of the song and consider that there are probably permanent timestamps to mark the syllables players will hear when they speed up the song. Eye of newt I cast a hex on you! Grandma’s wig, this will make you big! Kitten spit, soon your pants won’t fit! Pantalones giganticus! Oh no, not again. 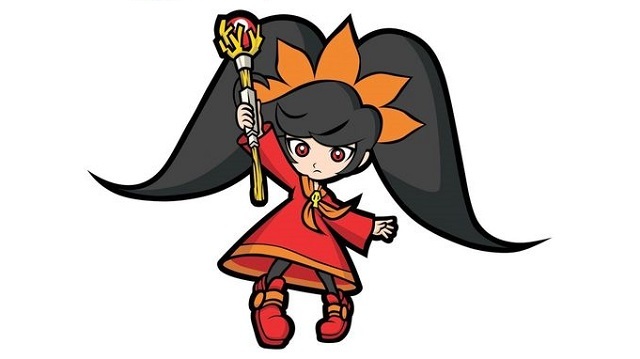 It’s fun to imagine that there were some secret Satanists working for Nintendo’s localization team, and that they had the very specific goal of leading kids to the occult (and therefore to Hell?) But when you think about it, that’s completely ridiculous. Have these people specifically learned the art of localization and wiggled their way into the offices of one of the biggest video game companies in the world just to pull this prank? And, if they did, would it really be worth the effort? Of course, accusations of occult activity aren’t new to gamers. The tabletop scene has been under fire for as long as most of us can remember, as certain groups within sects of Christianity have been preaching about the dangers of Dungeons and Dragons for decades. The question of whether or not “real” Christians should play video games has been a lot more balanced than the anti-D&D campaigns of the past, but it’s still an issue that various groups seem divided on. I can’t help but be reminded of the “Backward Masking” controversy surrounding classic rock music, where people claim to hear Satanic messages in the music of bands like Led Zepplin.